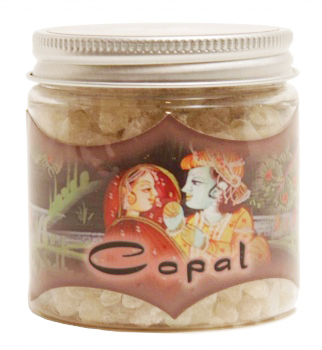 Copal incense is used for purification; consecration; contact with other astral planes; exorcism; and spell work. Resin incenses are the top of the line in incense burning. With the help of incense charcoals, you can release the intense fragrance of this quality resin without the dilution of a burning base or fixatives typical in man-made stick or cone incense. Ramakrishnananda's authentic aromas are so powerful that half a tea spoon on a small charcoal will fill up your entire home or business with a mood transforming scent. For a complete purification ceremony use after smudging with Sage.